Chicago will play host to not one but two Hamilton parody shows in the new year. 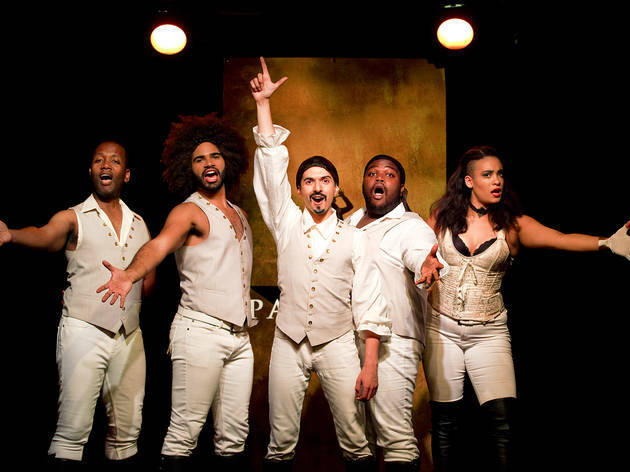 On the heels of last week's announcement that Baby Wants Candy's improvised spoof Shamilton will open at the Apollo Theater, the Off Broadway satire Spamilton has staked out dates at the Royal George Theatre. 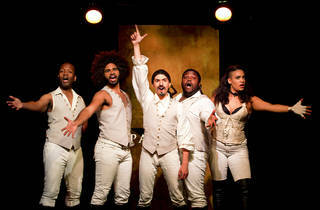 Spamilton, from the mind of Forbidden Broadway creator Gerard Alessandrini, is a scripted take that makes Hamilton creator Lin-Manuel Miranda himself its central character, as he grapples with his show's stratospheric success and an influx of Disney dollars. Original Hamilton cast members including Leslie Odom Jr. and Daveed Diggs also become caricatured characters. Of course, with all of those players now departed from the Broadway production—and none of them ever present at the PrivateBank Theatre—the question of whether this inside-baseball spoof can carry eight shows a week at prices ($59–$99) that rival the average Broadway in Chicago show (if not the ultra-premium Hamilton itself) seems worth asking. Alessandrini has a real gift for sending up Broadway trends, and casts gifted performers to imitate the stars. But Chicago’s not so industry-obsessed as New York; is the world wide enough for two separate parodies of Hamilton? We’ll find out. Spamilton runs March 3 to May 29 at the Royal George; tickets are on sale now. Kris is a Senior Editor at Time Out Chicago, covering theater and dance, comedy and LGBT events. He can give you the best CTA route to every theater in the city, and you can probably find him at one of them tonight. Follow him on Twitter at @krisvire.